As the president of Nancy Berland Public Relations, Inc., Nancy Berland directs a team of professionals who get their kicks out of helping authors achieve their career objectives and helping publishers find a broader audience for their authors’ books. Since launching her firm in 1995, Nancy and her team have specialized in direct-to-consumer promotions and helping authors develop a community of devoted readers. 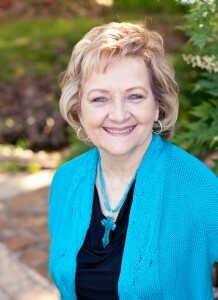 Voted Best of the Best Publicist by RWA’s Published Author Network, Nancy is a graduate of the University of Oklahoma School of Journalism, who has served as a newspaper and magazine feature writer, restaurant reviewer, national trade association public relations director, corporate public relations consultant and speech writer. Oh, yes, and she had six romance novels published before she realized her true passion is in helping other authors achieve their publishing dreams. After working in the nation’s capital for the National Chamber of Commerce and in the animal health industry, Nancy returned to her home state of Oklahoma, where she pursued a life-long dream of writing novels. Then, after a friend twisted her arm, she accepted the job of publicizing the Romance Writers of America’s 1995 National Conference and realized how much she missed the adrenalin rush such endeavors bring. A people person at heart, she launched her public relations firm after the Conference, at the urging of several authors. First she specialized in romance fiction, then branched out to represent those who write women’s fiction, mysteries, thrillers, fantasy, Christian fiction, cookbooks and business memoirs. Nancy has lived in small towns and large cities, from Big Spring, Texas, to Richmond, Virginia, to Washington, D.C., which has enabled her to gain insight into demographic differences—and similarities. She is pleased that she was able to return to the city of her birth and upbringing, Oklahoma City, where she and her husband raised their three children and sent them off with full hearts to pursue their own dreams. Since her firm’s inception, Nancy has seen many changes in publishing, but she is delighted with the shift in focus to what NBPR has been focusing on since its inception: communicating directly with readers. But she says authors need to be on their toes constantly, because trends change in a heartbeat. Keeping up with those trends is her job—and that of her talented staff.